GREENCONTRACTORS.COM SPECIALIZE IN GREEN KNOW HOW™ CONSTRUCTION. Knowledgeable certified green appraisers are now providing valid, nationwide green documentation of the increased appraised value of green communities certified homes. Conventionally constructed homes are falling in market value. Green certified homes are third party documented to be more energy efficient, have lower annual operating costs, offer numerous healthy occupant benefits, in the form of lower VOC (volatile organic compounds), improved indoor air quality, and have a lower overall environmental impact. With the valid incontestable documented lower appraised value, longer time on the resale market, of the nations conventionally constructed homes, an emerging market has originated for upgrading of conventional constructed homes energy efficiency. This is the role of the specialized green contractor. Beginning with a comprehensive individual energy audit provided by one of the nations certified ecoraters. Individual green retro fit upgrades customized to each conventional home can be tailored to provide the highest green ROI (return on investment) for the homeowner. These carefully tailored green energy retrofits can position a conventional home in the market, to begin to compete with a certified green communities home on appraised value, homeowner comfort, and environmental impact. Green renovations can effect every aspect of each individual home. One of the first comments from homeowners is the high cost involved to upgrade all the exterior windows. Many certified green communities homes have dual pane windows and are now upgrading to triple pane exterior windows, Additional upgrade options may include rapidly evolving smart glass which filters out the suns destructive UV rays. With the passage of the Energy Independence security act (EISA) in 2007. Traditional incandescent heat emitting light bulbs are being phased out. These familiar 100w, 75w, 40w bulbs are being replaced with energy efficient CFL (compact fluorescent light) and LED (light emitting diode) bulbs. This new lighting standard being implemented will require light bulbs to be a minimum 25% more energy efficient. CFL and LED light emitting diodes will consume less electricity and will emit the same amount of light for consumers. Replacing 15 antiquated bulbs with CFL bulbs will save consumers fifty dollars (50.00) annually and will offer consumers 100% annual green ROI. All types of tax incentives are available to obtain this initial reduced cost. Future innovations may include the fixture and the bulb available for purchase as a complete single unit. Lighting accounts for fifteen percent (15%) of all the buildings electricity with the new lighting standard, sustainable homeowners could save six(6) billion dollars annually with the same amount of illumination. Constantly improving LED technology is leading to longer life bulbs, higher illumination outputs, and reduced consumer costs. Commercial green building lighting technology is headed towards smart lighting standards. Including reduced lighting where there is no physical activity, with automatically increased lighting when activity starts to occur in specific areas of the commercial building. Future smart Led lighting will coincide with matching daylight illumination using smart sensor connectivity and wireless lighting technology. Improved illumination increases worker productivity up to 20% at a reduced cost for the landlord. Another simple cost effective energy upgrade is to install a programmable thermostat. These smart thermostats automatically reduce your homes heating and cooling loads to your pre set temperatures. Energy star stopped labeling thermostats in 2009. However there are numerous types of smart thermostats available including touch screen, remote and wireless models. Two way thermostats are now required by law to be installed in California homes. These demand thermostats receive signals from the utility companies either through a wireless or broadband connection. Allowing for a two way demand signal. Smart thermostats now control more than simply indoor comfort. Expanded features now include: remote security monitoring, exterior lighting control, real time energy consumption, grid energy demand management, motion detectors, Wi-Fi technology and smartphone apps to name just a few of the options now available. The average home spends six hundred(600.00) dollars a year on heating hot water. A hot water tank loses thirty percent(30%) or more of its energy keeping hot water ready waiting to be used. Retrofitting a residential home to an on demand hot water tank costs from two to three thousand dollars. With an annual payback to consumers in approximately seven(7) years. Commercial green building on demand hot water tank upgrades could be installed in apartments, schools, and hospitals. 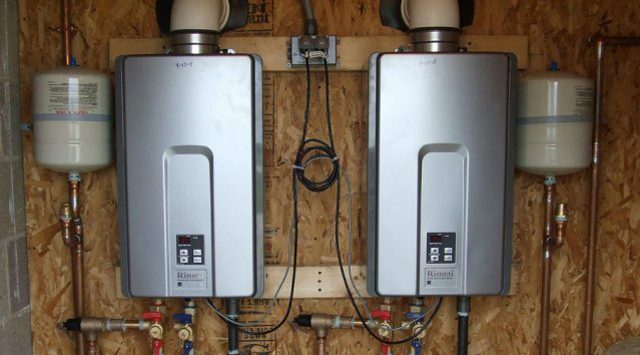 These on demand hot water units take up less space, and are much more energy efficient. With less than one percent (1%) of the entire worlds water suitable for human consumption, water will become the most valuable resource in our lifetimes. Human beings cannot live without water. Construction cannot commence without acquiring prior water rights. The value of available water is taken for granted by a gluttonous public. Turn on the faucet and it flows without human thought. Water resource allocation retro fits are simple, inexpensive and very cost effective. There are numerous types of water saving faucets, shower heads, and low flush toilets available for green residential energy renovations. These water saving fixtures offer superior water aeration and restrict the water flow without effecting performance. Replacing antiquated leaky water fixtures with Energy star or Water sense labeled high performance fixtures can pay for themselves in less than three (3) years. There are governments rebates available to the public to facilitate water fixture upgrades. Buildings consume twenty percent (20%) of the worlds water supply. If the entire nation upgraded to high performance water fixtures over three (3) trillion gallons of water would be saved annually and consumers would save eighteen (18) billion dollars! Additional outdoor water saving systems are available for landscaping upgrades. These upgrades could include grey water recycling systems, rainwater recovery systems, drip irrigation systems, installing porous pavement runoffs, native outdoor plants and outdoor xeriscaping. Exterior landscaping now includes trees, scrubs, bushes, fences all designed to block exterior heat from entering the dwelling. In the near future residential and commercial water efficient ratings will be unveiled and implemented. This will allow consumers, managers, and investors to benchmark water efficiency between all types of properties. After reviewing the ecoraters, energy audit report, the green contractor using his green know how™, will analyze the air leaks and the current insulation in the conventional home. 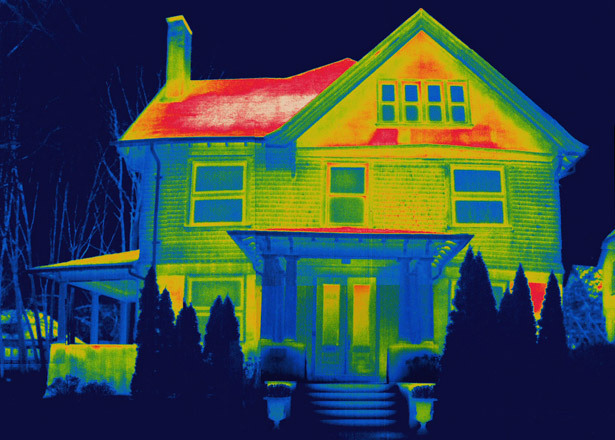 With up to seventy five(75%) of a homes heat being loss, rising straight through the roof. Adding additional attic insulation, increasing the R value to the homes climate zone specifications can improve the thermal envelope thereby reducing a homes heat loss and adding to the comfort for the whole family. Attic insulation can be blown in blanket insulation type, denim, batt rolls, spray foam, or vermiculite. Additional insulation can include spray foam insulation into all of the homes exterior walls. Upgraded insulation, combined with sealing air leaks which can account for up to thirty percent(30%) of a homes energy loss The green contractor will locate, identify and seal around plumbing fixtures, electrical wiring, recessed lighting, attic doors, soffits, windows, chimney, exterior doors, and other relevant identified air leaks as determined by a blower door test. The combined effort of the additional attic insulation, sealing the air leaks will reduce the heat transfer from the conditioned area of the conventional home to the unconditioned area. The total initial upfront cost of adding additional attic insulation and sealing air leaks could cost from three(3) thousand to five(5) thousand dollars. homeowner green ROI is approximately five(5) years. There are state and local tax incentives to help the homeowner offset the initial cost of instillation. It is important to note that insulation and air sealing also effect the summer months, hot climate zones, keeping hot air out of the home thereby now reducing the air conditioning cooling bill. Appliances account for up to twenty percent(20%) of a homes total energy costs. Upgrading to Energy Star models can consume up to seventy five percent(75%) less energy. The older the home appliance the more energy it consumes. A complete home appliance upgrade package including the refrigerator, dishwasher and clothes washer can range from three(3) to five (5) thousand dollars. Using federal, state and local tax incentives this appliance retro fit package can pay for itself in approximately seven(7) years. Additional homeowner value would be aesthetic and the number one home improvement upgrade preferred by homeowners! Leaky HVAC air system ducts can divert up to thirty five percent(35%) of heat loss or air conditioning if they are located outside of the conditioned space(attic or crawl space). A green contractor can perform a HVAC air duct test to locate all the leaky HVAC joints and seams, apply duct mastic to seal air leaks increasing furnace and air condition delivery systems. A simple and effective energy efficient conventional upgrade. A conventional home heating furnace is rated by annual fuel utilization efficiency(AFUE). This is the ratio of annual heat production produced by the furnace, compared to the amount of total fossil fuel consumed by the heat source. A high energy efficiency furnace has a AFUE of eighty(80) to ninety five percent(95%). Usually these energy efficient furnaces are smaller in size, have a sealed combustion chamber and offer various speed fans. The more advanced units are computer controlled. A furnace upgrade could cost from three(3) to five (5) thousand dollars. Homeowner payback is approximately six (6) years. Air conditioning units consume forty percent(40%) or more of a homes cooling costs. Air conditioning units are rated by the seasonal energy efficiency ratio(SEER). This is the amount of energy an a/c unit uses to produce a specific cooling point. Energy Star rated units are a minimum fifteen(15%) more energy efficient than the Federal guidelines. The higher the SEER rating the greater the efficiency of the a/c unit. Currently the highest SEER rated unit on the market today is rated 26 SEER. However this rating continues to rise almost every year as technology is constantly improving. Conventional home upgrade costs can range from three (3) to five(5) thousand dollars with an annual payback in approximately five years. It is important to note that a qualified green contractor can analyze the proper size heating and cooling units which are determined by the total amount of conditioned living space in each conventional home. In the hot climates zones additional energy efficiency cooling upgrades could include: instillation of interior smart shading on all exterior windows. Radiant barrier laid over the attic insulation to reflect the exterior heat from entering the conditioned living space. There are more expensive energy efficient upgrades available such as installing geothermal heating and cooling systems. and solar panel systems on the roofs. These upgrades are starting to enter the mainstream retro fit market as they offer their own financing and leasing systems and corresponding federal tax benefits. We are now seeing the introduction of solar bonds as an asset class on the green securities market. This eliminates the initial homeowner cost, however the home still receives the benefit of the energy efficient renovation. These residential energy efficient upgrades can now be totally financed using the energymortgage. Fannie Mae has recently updated the Energy mortgage green underwriting criteria. This allows conventional homeowners to own their residential solar panels as an energy efficient feature, using the lowest cost of funds available, rather than previously lease the solar panels from a third party. 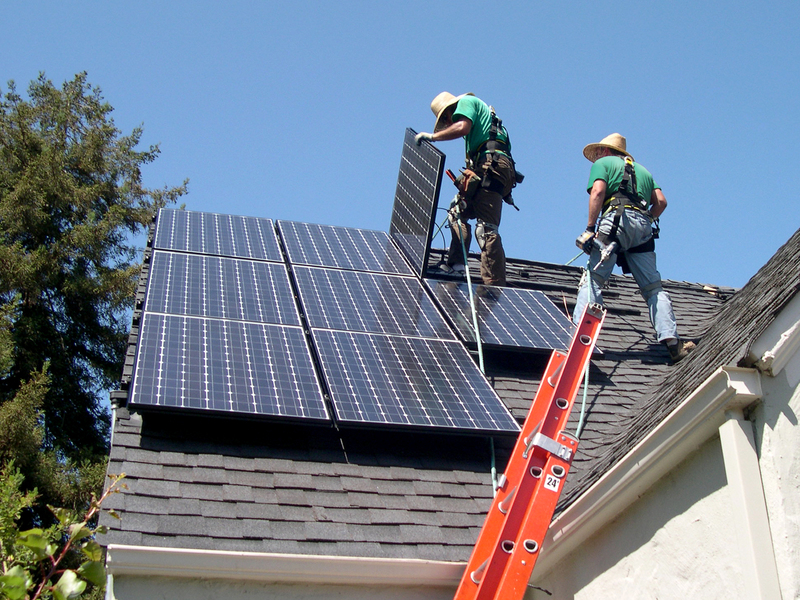 The solar panels monetary value can now be calculated and documented by the green appraisers, using the solar appraisal tools which increase the homeowners equity. Freddie Mac multifamily now offers their own green mortgage underwriting criteria, called green advantage. Additional benefits include the green rebate. Additional available green financing options are the Ecoheloc or Greenheloc. Using a qualified green contractor, in conjunction with the green appraiser who can document, calculate the initial cost, and quantify the amount of energy savings. Allowing the conventional homeowner not rely on the simple annual ROI as this is an incomplete picture. The focus of the greencommunities.com website is to combine integrated green vertical market segments, using sustainable knowledge, allowing homeowners the ability to empower themselves leading to a sustainable green nation! The green contractor market is not simply limited to the upgrading of conventional homes to be more energy and water efficient. In the next three years institutional, commercial, schools, hospitals, and retrofitting of conventional buildings is expanding rapidly driven by consumer demand. The commercial green market is expanding world wide simultaneously on all continents rapidly. The commercial green construction market reached the tipping point of over fifty percent(50%) in 2015. All commercial buildings being constructed will be certified under some sort of green rating system. This is no longer identified as the right thing to do. This has become a business imperative. Sustainability is now a key initiative. As conventional buildings are falling in appraised value, cost more to operate, and are in less market demand. The green benefits of lower operating costs, higher documented appraised commercial building values, combined with improved tenant health and wellness benefits, increased worker productivity are now all being taken into account by green investors. These previous subjective health and wellness benefits can now be documented in green commercial buildings. With improved interior ventilation, lower VOC‘s, and improved smart illumination systems employees have 15% fewer sick days, less absenteeism and up to over 30% of improved employee productivity for knowledge based employees. In 2015 RMI designed a green retro fit guide for building owners and tenants to take these intangible and subjective benefits and covert them to a numerical score by assigning values to health and productivity. These deep green retro fit guides show that sustainable office space can save over $6.00 per square foot from employee health insurance, recruiting, and increased productivity. Green building acts as a competitive differentiator in the market place, additional commercial green building benefits include a twenty percent(20%) life cycle savings for an additional 2% upfront green building cost. Improved commercial green leasing rates, a green rental premium of up to ten percent (10%), higher occupancy rates of up to fifteen percent(15%). Combine these benefits with up to a thirty percent(30%) lower operating costs. Additionally there is now evidence of up to a fifty basis (50) points in lower capitalization costs for commercial green buildings. The green commercial building market is now rapidly moving towards net zero real estate status. These super efficient commercial green buildings now produce more energy than they consume. 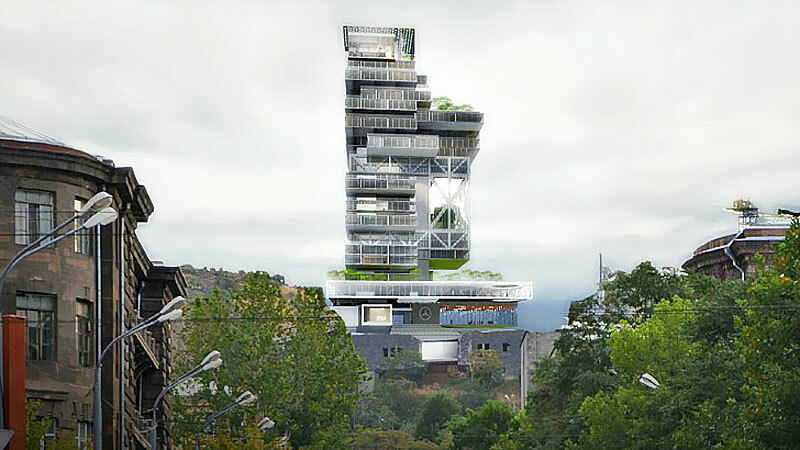 Buildings incorporate fuel cells storing latent energy. Commercial green building automation systems now control smart wireless lighting, HVAC ventilation, and push back surplus energy through the electrical grid. Commercial buildings now recycle their internal water consumption. Filtering millions of gallons of greywater to be repurposed for outdoor irrigation systems. Commercial buildings now include on site charging stations for hybrid smart cars. Green technology is rapidly evolving and being integrated in the commercial building sector.